Don’t run away! I know you want to. I know as soon as you see the word “Kickstarter,” nasty visions of wannabe artists and writers float through your mind, all with their hands extended begging for your hard-earned cash. Push those visages away momentarily. Instead, picture rewards beyond measure: hand-painted sculptures, exclusive maps, things that glow in the dark or are splattered with blood, and mystery boxes brimming with horrific goodies. But wait, there’s also a signed and numbered hardcover collection of horror stories so strange and wonderful that your every night will be haunted. Best of all, every single one of these visions are real, and they are exclusive to my Kickstarter campaign: Greetings from Moon Hill. 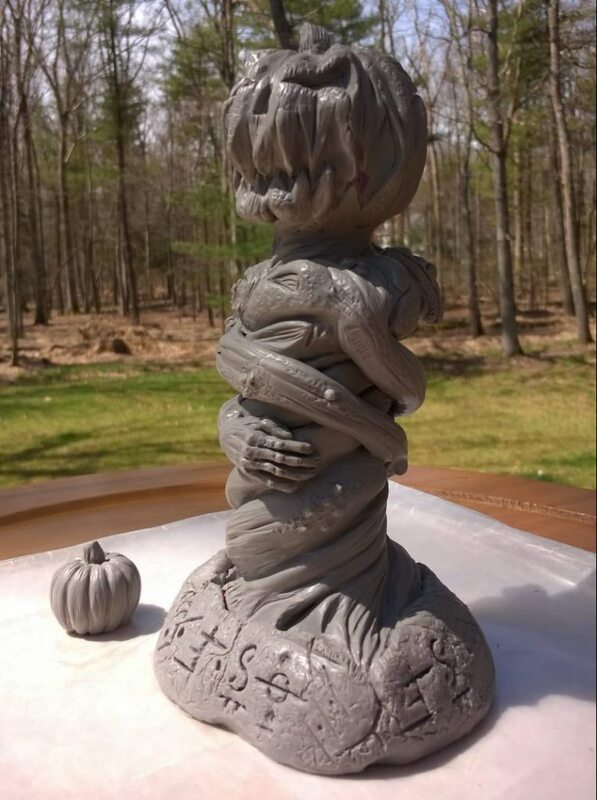 Below you’ll fins the unpainted prototype of the Pumpkin God Idol. He stands 6.5 inches tall and will be hand painted for the final product. 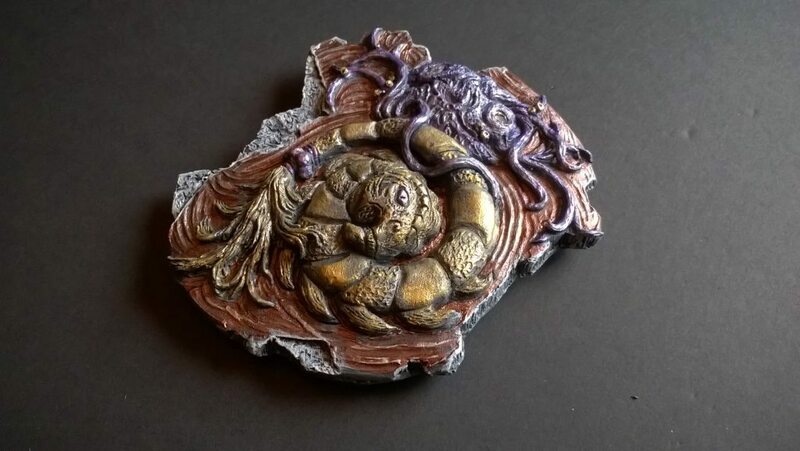 Next we have the painted prototype of the Heaven’s Rains Plaque. It is a sizable plaque with a hanger on the back for immediate display in your arcane library. This project is the culmination of nearly two years of work, editing, sculpting, and preparation. When you pledge at any level, you are going to receive great rewards that are well worth your investment. Please navigate to the Kickstarter page to see the full list of rewards as well as amazing stretch goals.